The RHDJapan team would like to extend our Happy New Year greetings. We hope that 2018 can be looked back upon as a memorable year filled with many positive and memorable experiences. 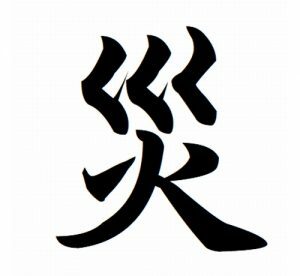 Despite the Kanji of the year being selected as the symbol for disaster (SAI=災) in part due to the earthquake that hit Osaka we are thankful for safely making it through. For those who had an unfortunate balance of unfavorable happenings both on and off the motorsports scene we hope that 2019 can be considered a fresh start for better things to come. In the Land of the Rising Sun the first Sunrise of the year has great symbolism. Viewing this first sunrise as it reaches the peak of Mt. Fuji is extra special. Doubling this diamond reflection in the sacred waters around Mt. 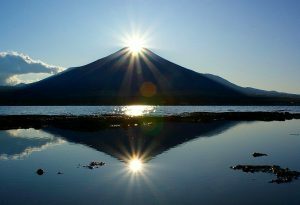 Fuji we can consider this 4 times good luck for 2019. This is a historical year for Japan as we end the 30 year era of Heisei (平成). As the Emperor and Empress have chosen to step down Japan will step into a new era. Motorsports in Japan is ironically often classified by era. Considered the Golden Age of JDM the Showa-era (昭和時代) is when Japanese motorsports began and continued on to 1989. We now consider some of the select machines from the 70's to be genuine classic cars with some of the most iconic machines and engines being released at the end of this era. The 30 year span of the Heisei-era (平成時代) started off with some of the most popular body style vehicles and performance engines to this day. Despite a couple years in the middle when it seemed that sports orientated vehicles were no longer being introduced this era has finished strong with absolute mind blowing design and technologically advanced vehicles mixed in with highly affordable and fun to drive innovative vehicles as well. As the new era is ushered in the RHDJapan team looks forward to continually adapting to an enjoyable mobile life while fully supporting the vehicles for the last 30 years and beyond. Along with the ancient symbolism and traditions we also would like to extend the modern day tradition of businesses throughout Japan. The first sale of the year is referred to as the Hatsu-Uri 初売りセール. 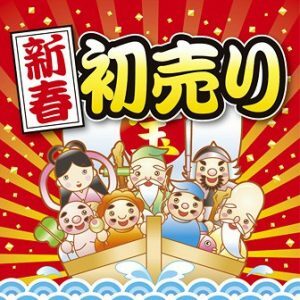 As wee are in the business of providing the best combination of service and cost performance we would like to extend our best sale to start off the year with the wishes of health and prosperity with the 7 Lucky Gods. Coupon Valid ~Jan 7 8:30 and will provide at least an additional 7% on the whole shopping cart! *Can be used in conjunction with reward points, some bulk purchases that have multiple qty discount applied may need to be readjusted.